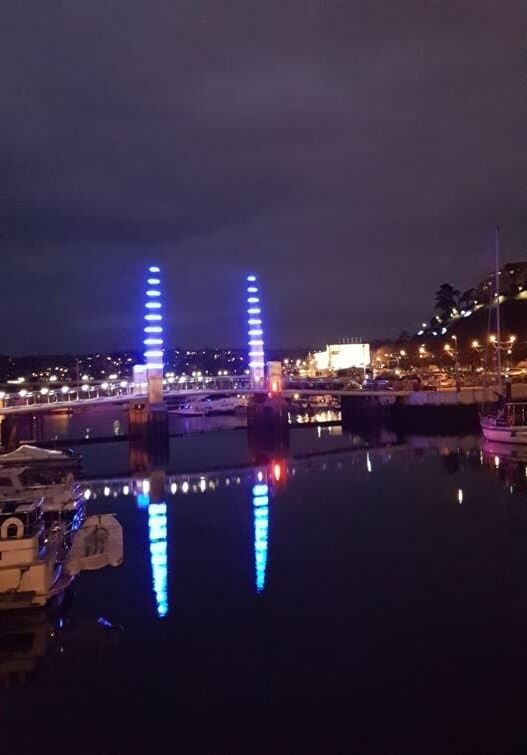 LED Illuminations were excited to be invited to provide LED Rope Light to Torquay Harbour when they needed to replace the existing lighting on the bridge masts. They required 100 metres of lighting which would be cut into 20 lengths, our LED rope light is supplied on 50 metre rolls which worked well. The 24Vdc LED rope light can be run in lengths of up to 25 metres, it is still the only product on the LED market that can do this. The LED had to be robust as it would be exposed to all weather conditions and our LED rope light is encapsulated in PVC and UV stable. It provides excellent light quality whilst reducing energy consumption. We sent a sample of our blue 150 LED per metre 24Vdc professional rectangle rope light. On receipt of the sample, it was immediately agreed that it was a suitable product for their project. 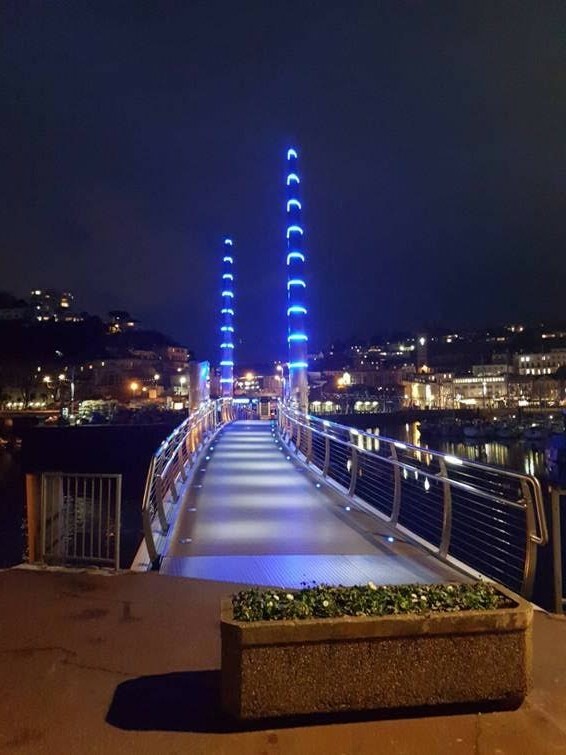 Torquay Harbour had to design special scaffolding and have it manufactured in order to install the LED rope light safely. Installation was halted more than once because of bad weather. The LED Rope Light is available in white, green, blue, red, yellow with 144 LED per metre and colour change (RGB) with 108 LED per metre. A 50 metre roll is supplied with two 24V power cables, two end caps and 200 fixing clips which are made of clear plastic and saddle the rope with screw flanges to make installation easy. 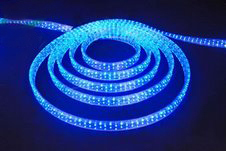 The LED rope light can bend at a 2.5cm radius but if necessary, we can supply inter-connecting cables to make corners easier to navigate. Click here for our datasheet with technical specification, or browse our range of LED Rope Lights and LED Strip Lights. We also supplied Mean Well IP67 24Vdc transformers. Please call our sales team on 01492 233002 or email sales@ledilluminations.com for more information and a quote.